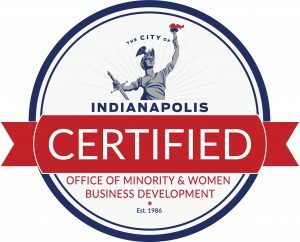 Dodd Title Corporation is a DBE/WBE Certified Business that is PreQualified for both INDOT and The City of Indianapolis. These Disadvantaged Business Enterprise (DBE) and Woman-Owned Business Enterprise (WBE) certifications increase scoring for projects, and the inclusion of Dodd Title Corporation in project proposals creates a preference for selection and awarding of those projects, as well. Dodd Title Corporation is also a Prequalified Consultant with INDOT and The City of Indianapolis for Title Research (12.2), Acquisition (12.6) and Closing (12.7) making our firm able to handle multiple aspects of your business. Engaging Certified and Prequalified Consultants Increases Your Scoring to Help You Win the Contract. It’s a Win-Win Situation.